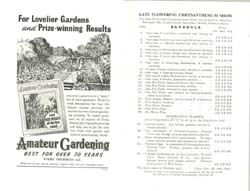 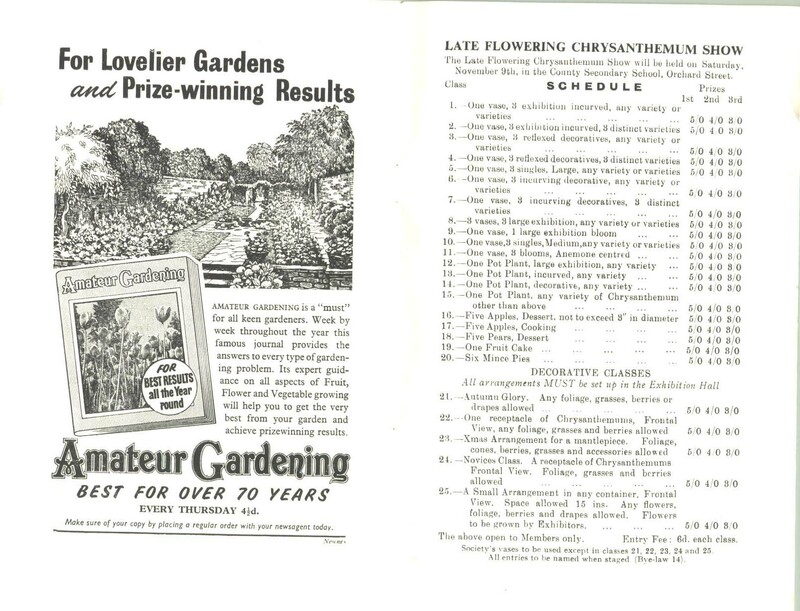 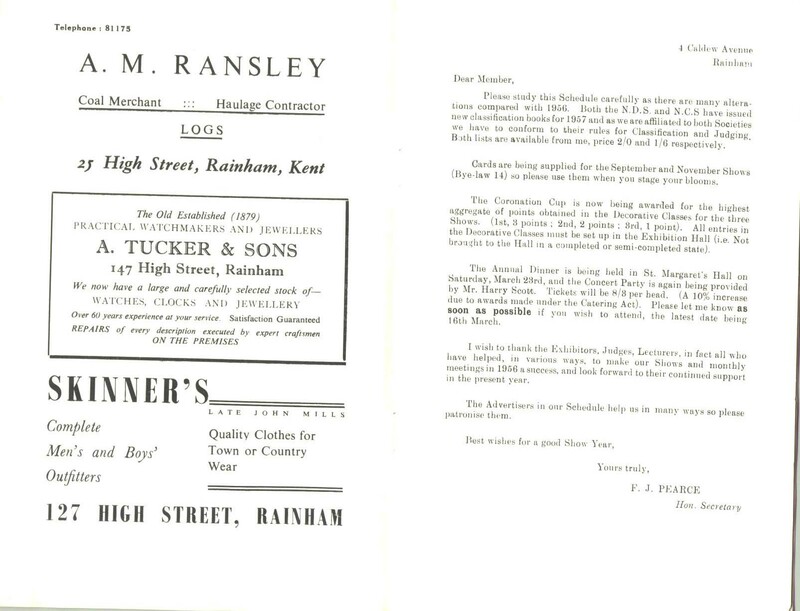 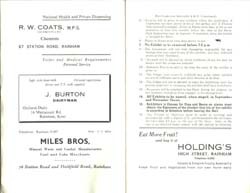 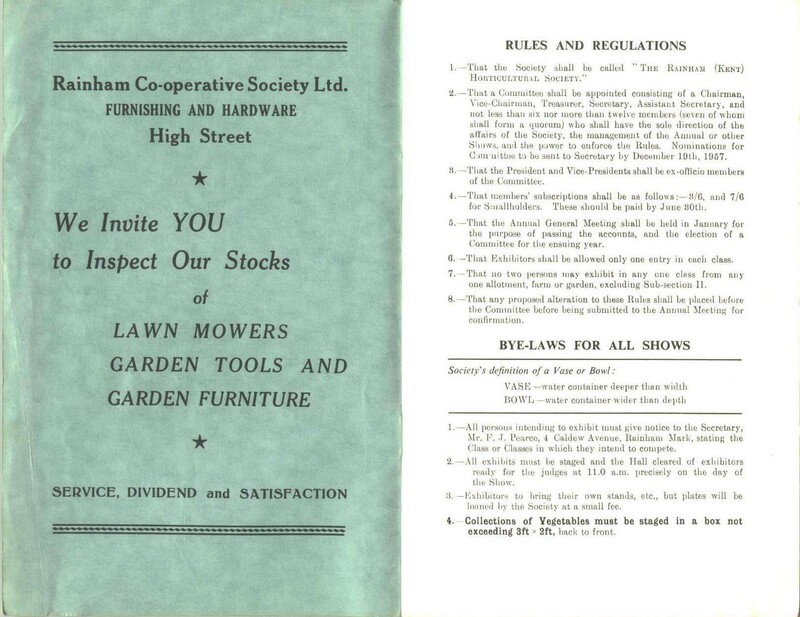 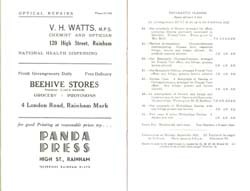 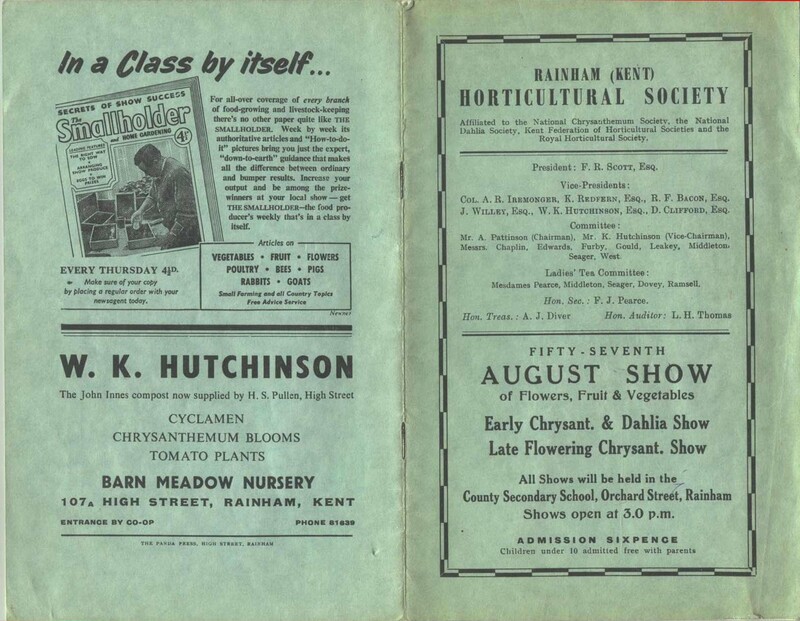 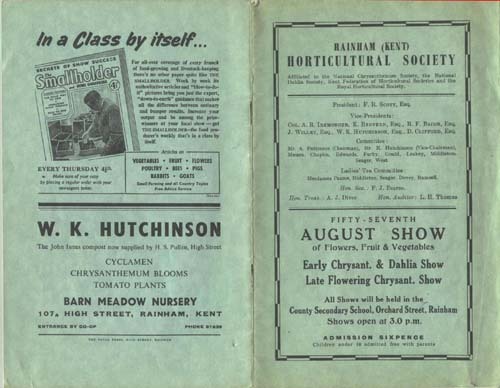 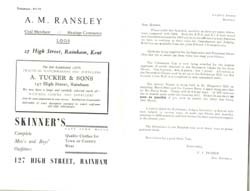 The scans below are of the Programme for Rainham Horticultural Society Show 1957. 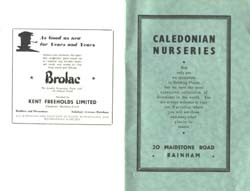 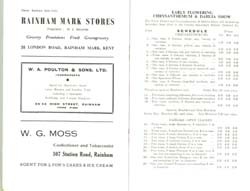 They show some of the local businesses in Rainham Kent that were operating in 1957 which gives a glimpse into life in Rainham in the 1950s. 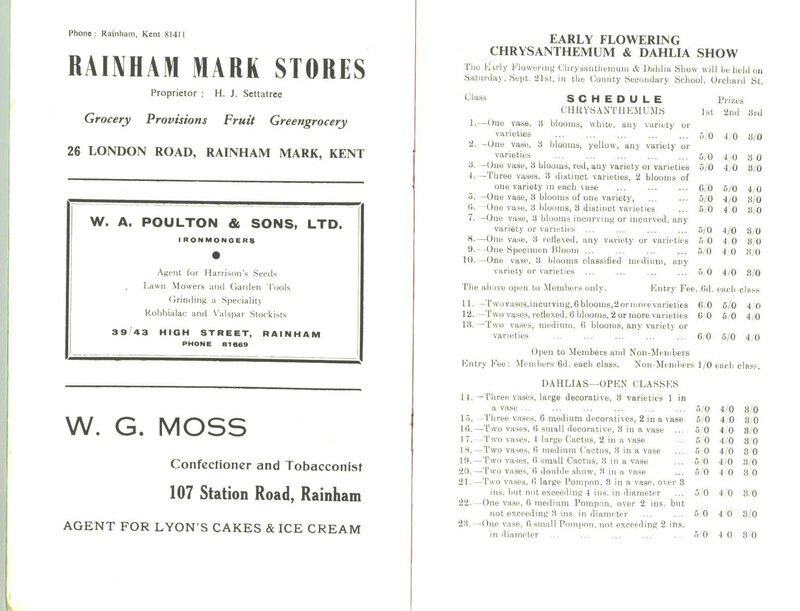 Very few of these local traders are still operating in Rainham. 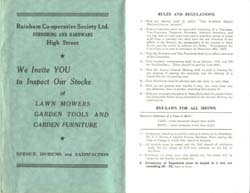 Click on the pages to see a larger version. 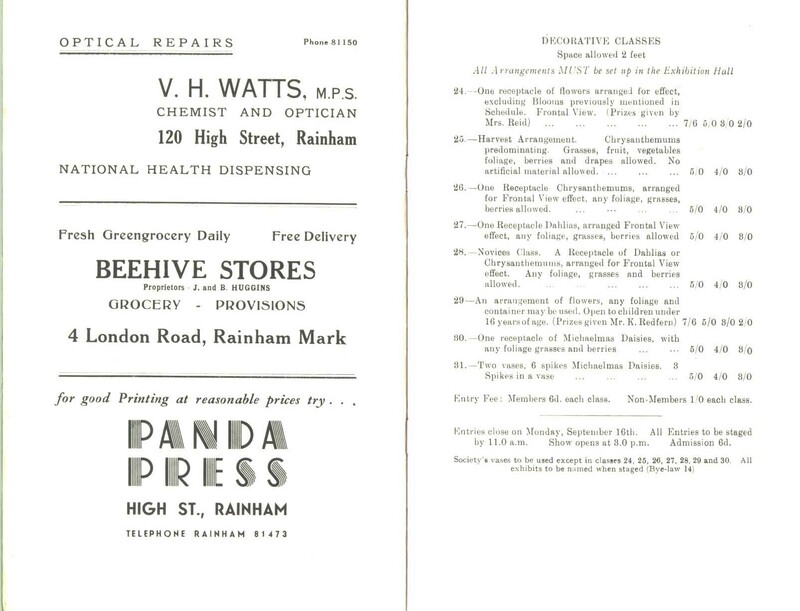 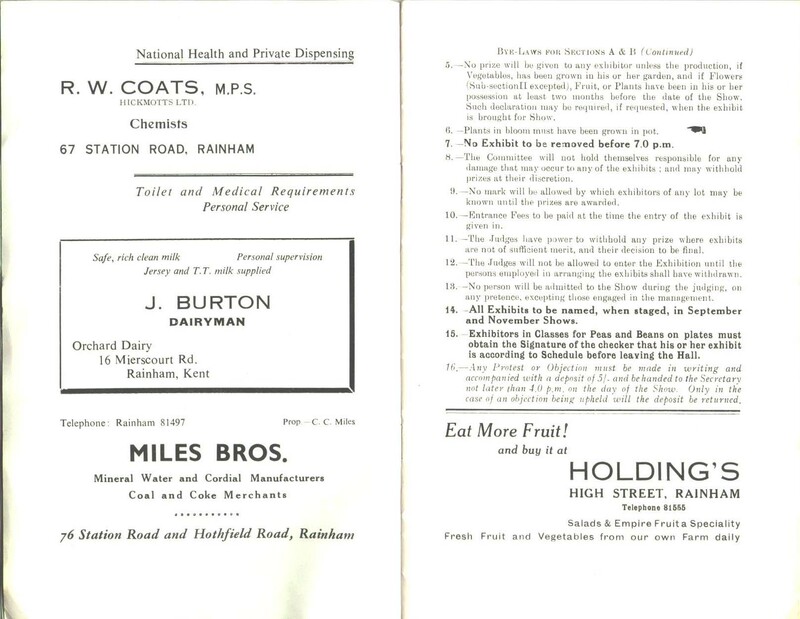 Notice the adverts for Watts The Chemist and other shops that have since closed.